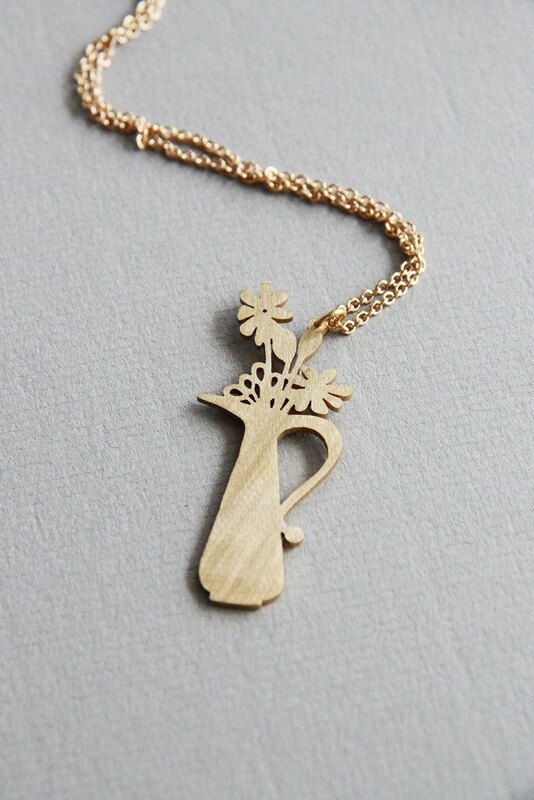 This handmade necklace features my hand drawing of flowers in vase. I drew it on my lazy day sitting on a couch and looking at the flowers in vase on the window. The pendant is made by hand-cutting on brass material. Measurements & Objects Info • The Flower in vase pendant approx. 5x1.5 cm. • Total length of brass chain is 72cm. • Weight: 8 g. • Lobster clasp • Material: brass * If you need other length of the chain please leave message to us during the checkout. We'll adjust with no additional charges. * Your item will arrive in our beautiful gift box.